The advent of 5G is already planned for 2020 for the commercial market, but earlier for the technology world. This means really high speed connection. 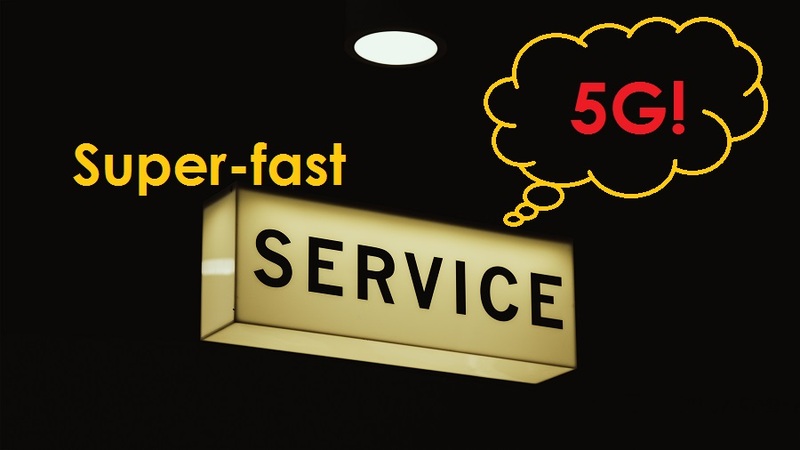 It’s not just a step up from 4G – they’re talking 340 times faster than 4G, 25GB per second. Even more people will have smartphones in areas that currently don’t have coverage and we will be able to do things on our phone that we haven’t even thought of yet. That’s a big claim given that the phone in our hand is more powerful than the computers that put the first man on the moon! The potential is huge – imagine being able to ‘visit’ your doctor, without leaving home, through your mobile device. The opportunities for both government and commerce are still to be assessed, but it will certainly change the way the world works. Because it’s faster it means that providers will want to control it more. Contracts relate to the amount of data you can download and, with much higher speeds, there’s the potential to offer faster downloads for a higher price – at least for the early adopters. Specific services are likely to become ‘premium’ e.g. you’ll pay more if you want to access a service like Netflix from your phone. There’s a lot of discussion around net neutrality. Network operators have to use traffic shaping and traffic management to deal with congestion and keep their networks from running into traffic overload. The challenge is that some internet service providers are saying that they can charge more for a preferential service. Now that phone network owners and cable companies have the infrastructure to provide broadband and make money, people are now cancelling their TV packages and watching TV and accessing the internet via their mobile devices. Broadband providers are saying they’ll slow down access for people who aren’t paying the premium rates. The government legislators are working to ensure people have fair access. Charging for people to have access to something they already have does not meet the fairness criteria that net neutrality demands. Imagine how you’d feel if a rolling road block on the motorway kept you travelling at 40 mph and denied you access to the outside lane, while people who had paid a premium were whizzing by at 70mph. The ideal is a free and open internet that is non-discriminatory and provides equal access for all. With 5G opening up even more possibilities using mobile devices it will be interesting to see not only how the government manage the regulations that relate to its provision, but also how they leverage the power to improve our lives.